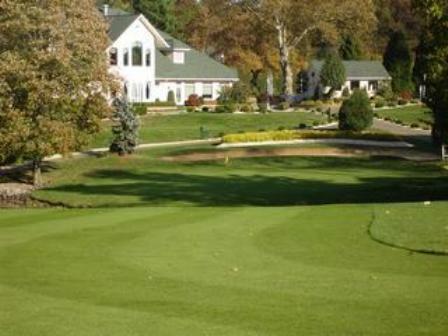 Pebble Creek Golf Club is a Public 18 hole golf course located in Colts Neck, New Jersey.  Pebble Creek Golf Club opened for play September 1, 1996. The course was designed by Hal Purdy. The front nine that was carved out of a thick, mature, hardwood forest. The back nine is more open, but has plenty of water to test your shotmaking skills. Eight of the nine holes on the backside have water coming into play. The greens are very large with heavy undulation. Deep rough lines the relatively flat fairways. Par for the course is 71. From the back tees the course plays to 6,265 yards. From the forward tees the course measures 5,356 yards. 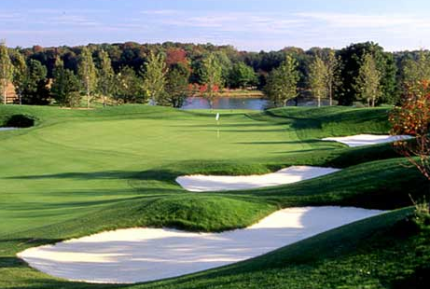 The longest hole on the course is # 14, a par-5 that plays to 585 yards. 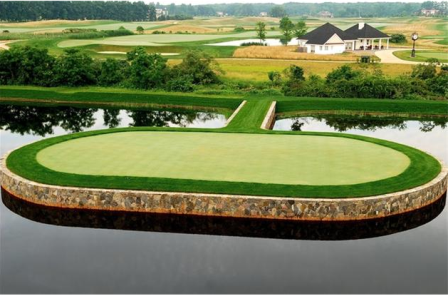 It is also the signature hole and wraps around a 2.5-acre lake. Big hitters can carry the lake and reach the green in two. The shortest hole on the course is # 3, a par-3 that plays to 177 yards from the back tees. Watch out for # 8, a 540 yard par-5 challenge and the #1 handicap hole on the course. The easiest hole at Pebble Creek is # 18, a 184 yard par-3. This course definitely reminds me of Myrtle Beach. Granite hole markers with layout of hole, well manicured greens. Definitely worth the trip. closely resembles courses in Myrtle Beach. Like the fast undulating greens, breathtaking scenery and the price is not TOO bad for seniors such as I. $42 with cart during weekday. Once in a while, they'll send you a discount voucher. Very nice course. Challenging as well as interesting course that reminds me of some high rent courses I've played. Some folks mention the high tension wires but to be honest I don't even notice them. They don't get in the way nor do they take away from the beauty of the place. I really enjoy playing this course. As far as it being "short" at 67 years of age who needs a "monster" certainly not me nor the many players I've played with over the years. Would and do recommend it to my friends. Maintenance is Excellent, even through the winter months. 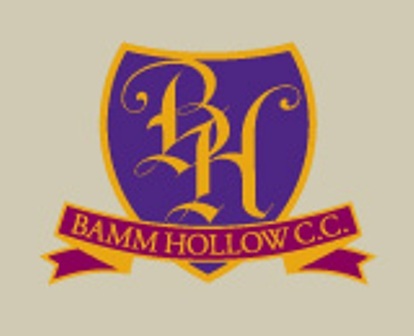 Staff are very cordial and polite. Great place for the average golfer. I really enjoy playing at this track. The only negative would be the power lines that come into play on a few holes. Other than than, I would play again and recommend to anyone. Good price. I was not thrilled with layout. The course was in decent shape. I play this course at least once a week. Very friendly staff. Constant improvements designed for faster play. They continually upgrade the course, rebuilt tee boxes, greens management. This course is open all year and spring maintenance is now taking place but the course is playable every day. They treat seniors very well, most of us walk this course but carts are available. Try it, you-ll be back. 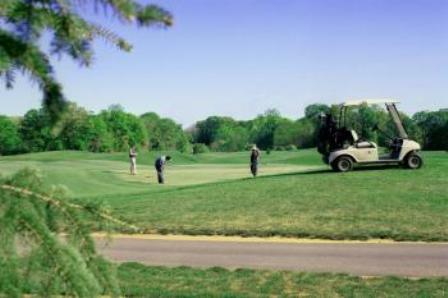 This course gets a lot of play but the greens keeper works hard to keep the course in shape. You can call and get a reservation a week in advance, or you can go as a single and get out predictably within an hour. On weekends, the pace can be slow later in the morning. With the slower pace and a friendly staff, it is also popular with couples. 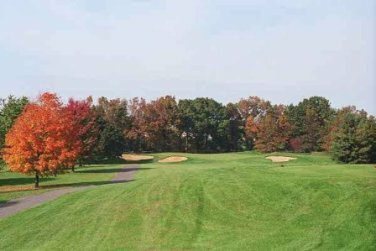 The layout has variety with a premium placed on shot location and course management.